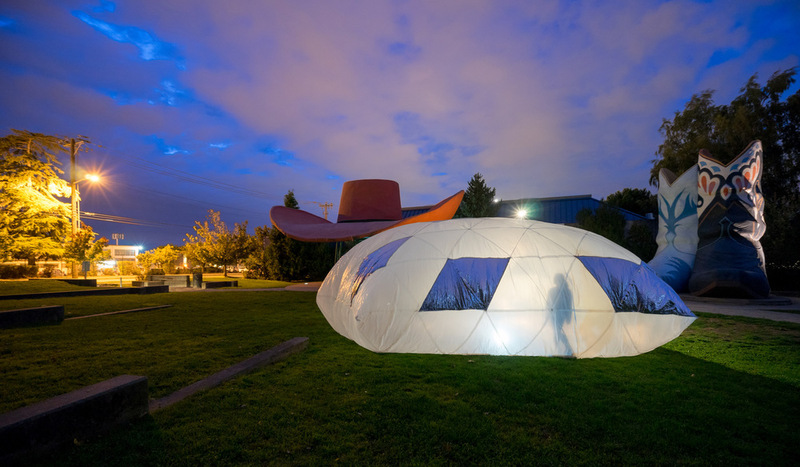 Recognizing that lesser used public spaces can be highlighted using programming, the REFRACTOR was conceived as an installation that could quickly bring a variety of activation to the public spaces of Seattle. 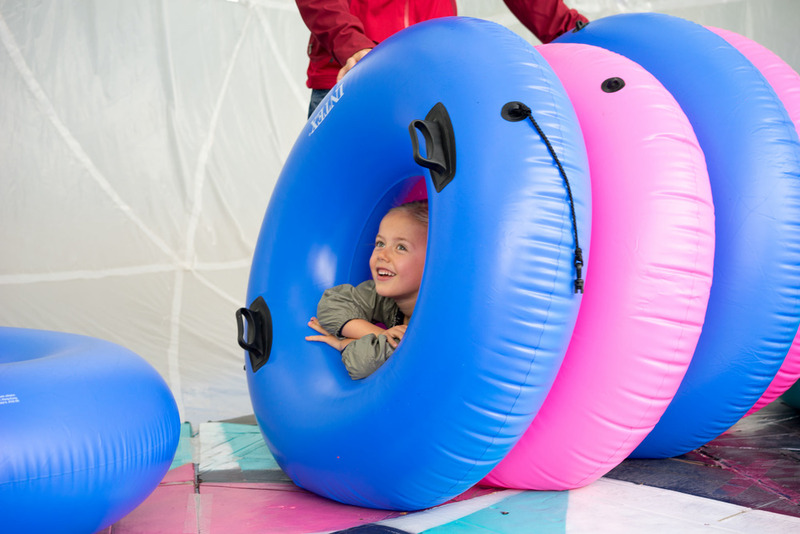 Because activities happen on a temporary basis and at a moments notice they require a structure that can be delivered by hand and installed quickly. 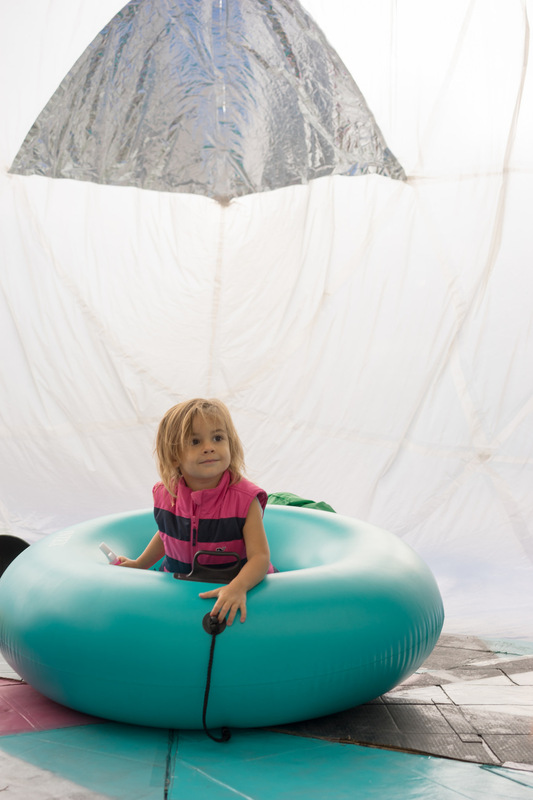 The inflatable structure expands into a 315SF circular room with a 16 feet tall ceiling that is transported in a 3ft x 2ft cart. 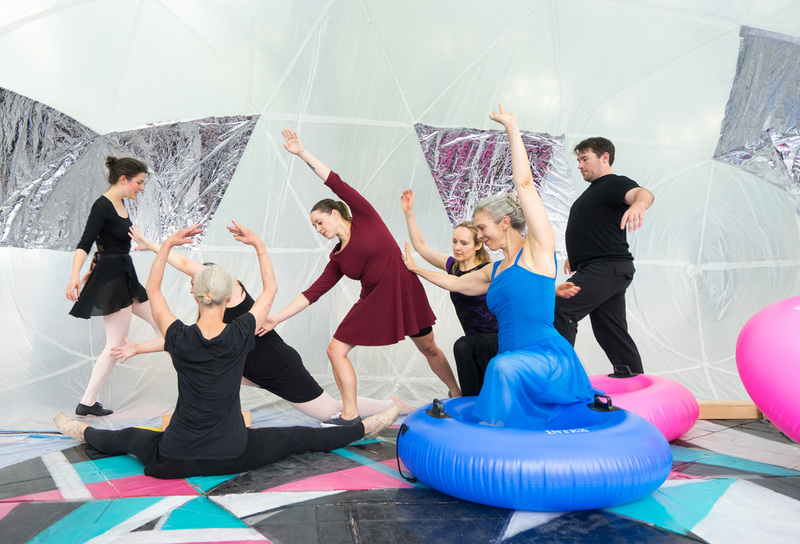 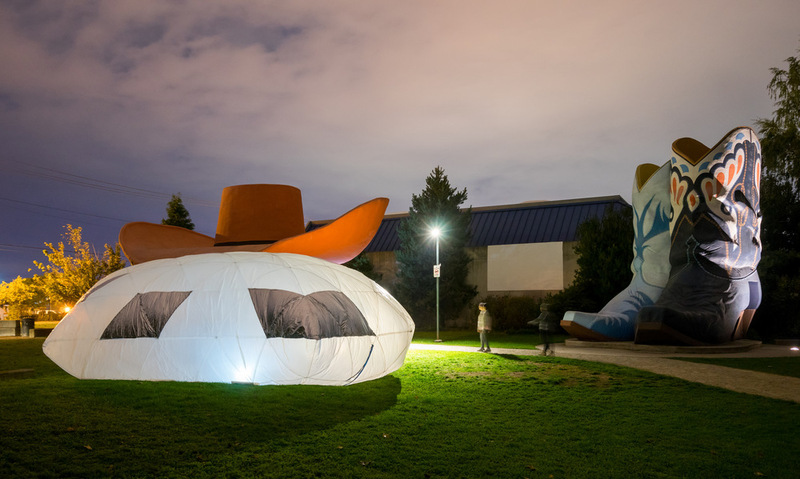 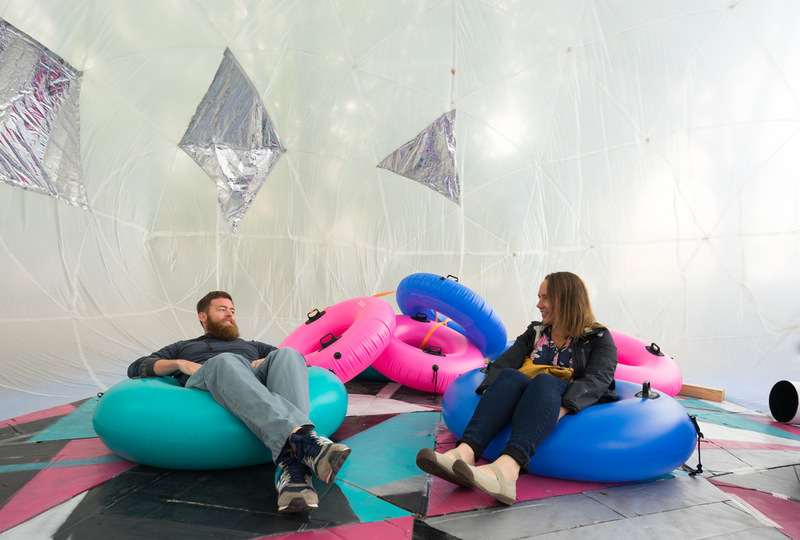 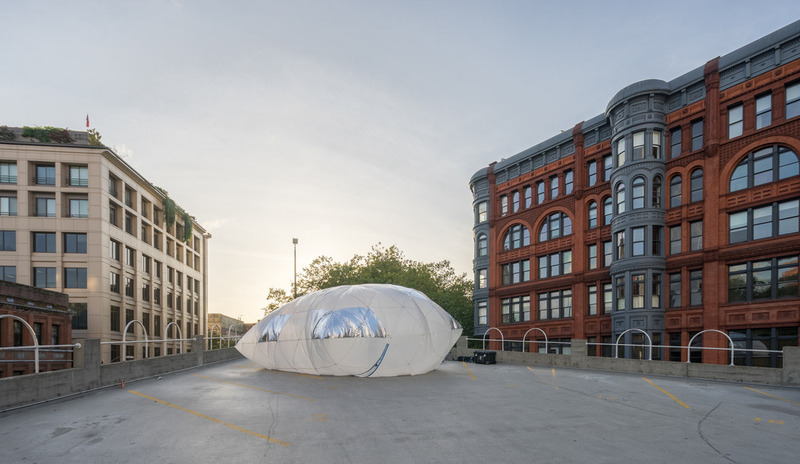 Capitalizing on the ad-hoc nature of the space, the inflatable was constructed from scavenged cardboard, painter’s plastic and space blankets cut into triangles to standardize the building blocks. 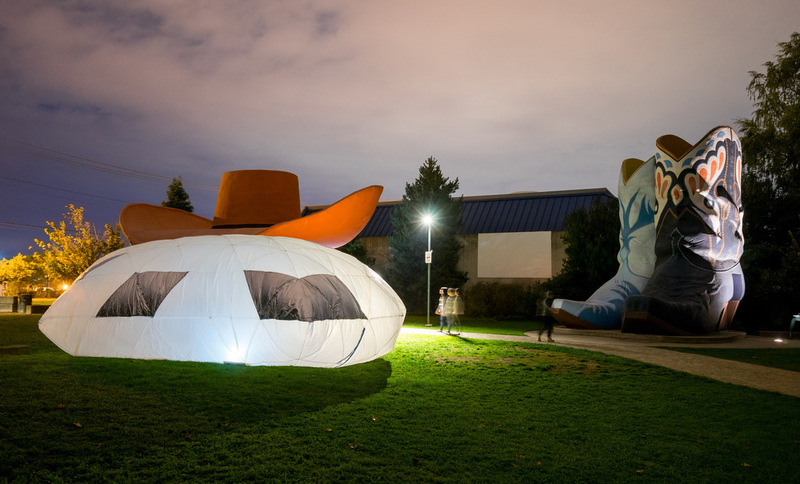 Each element serving a distinct programmatic purpose; cloudy plastic to diffuse light and provide glimpses of the interior, shiny mylar to reflect the exterior surroundings, and cardboard to provide a resilient walking surface that also served as a mural space for artist Lina Cholewinski. 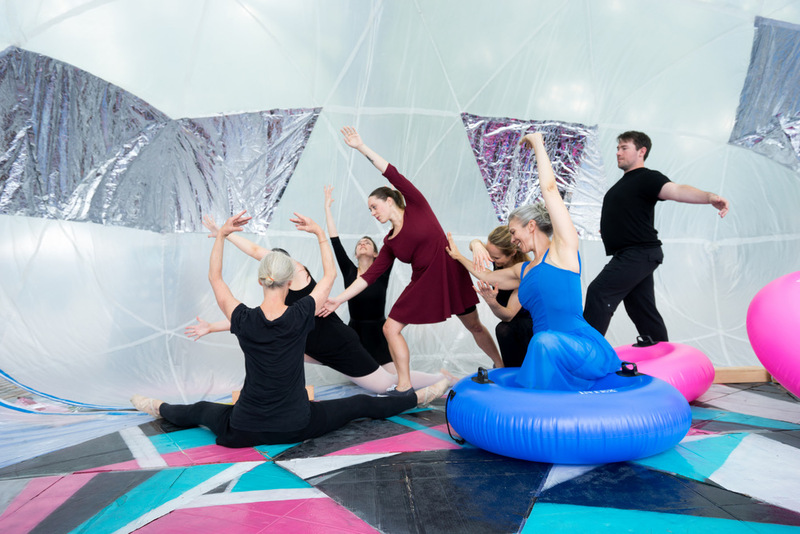 By using a malleable form and materials the REFRACTOR takes on the personality of each location or use thus integrating an otherwise foreign object.